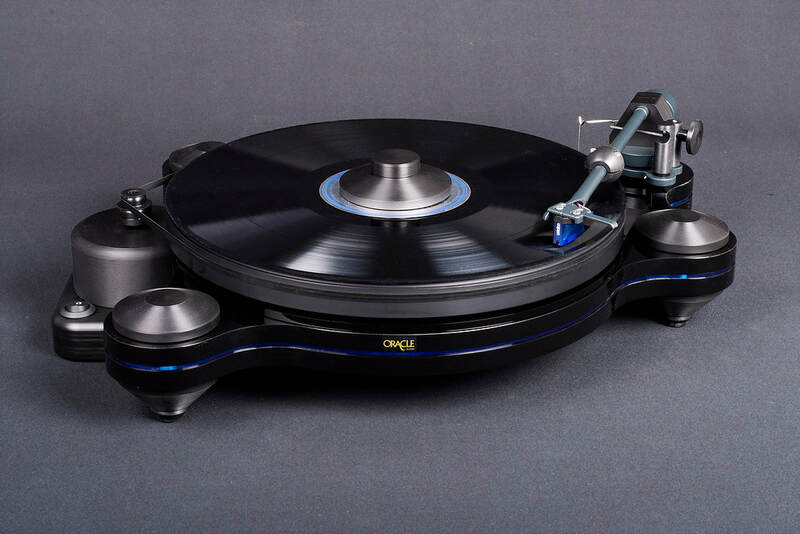 The new Origine turntable was created with one goal in mind; to answer the historical demand for an affordable, quality built and long-lasting record player from Oracle Audio! Just like for our other products the Origine turntable is 100% designed, crafted and assembled at our factory in Canada. Although the Origine is at the entry point of our line of products it maintains the high standards of excellence that is expected from Oracle Audio! With its outline shaped like the footprint of our flagship Delphi turntable, with its feet system derived from our CD players and with the platter inherited from the Paris turntable, the Origine carries the signature of Oracle’s design. It harbors a two-bushing spindle holder which is a direct descendant of the vintage Delphi’s main bearing, who are still functioning well today after 30+ years! The Origine is equipped with an outboard synchronous AC motor that drive the platter using a belt around its perimeter. The two-step pulley of the Origine allows playback at 331/3 and 45 rpm. The turntable comes equipped with the new Origine tonearm and with or without a supplied Ortofon MC-1 Turbo; a high-output moving coil phono cartridge. This unipivot tonearm is cleverly designed with its pivot contact point set on the same plane as the record contact point with the stylus and with the tracking force counterweight for added stability while tracking the grooves. The compliance of a phono cartridge, or the “springiness” of the cantilever/motor suspension assembly, plays an important role with unipivot tonearms. We address this issue by using a movable arm tube weight that we nicknamed “the olive” which allows to vary the tonearm’s effective mass. This adjustability enables to make a better match of compliance and effective mass, thus allowing the use of a very wide range of phono cartridges with the Origine. The Origine tonearm has internal wiring from Cardas Audio! We are sincerely hoping that you are as excited as we are about this new record player!